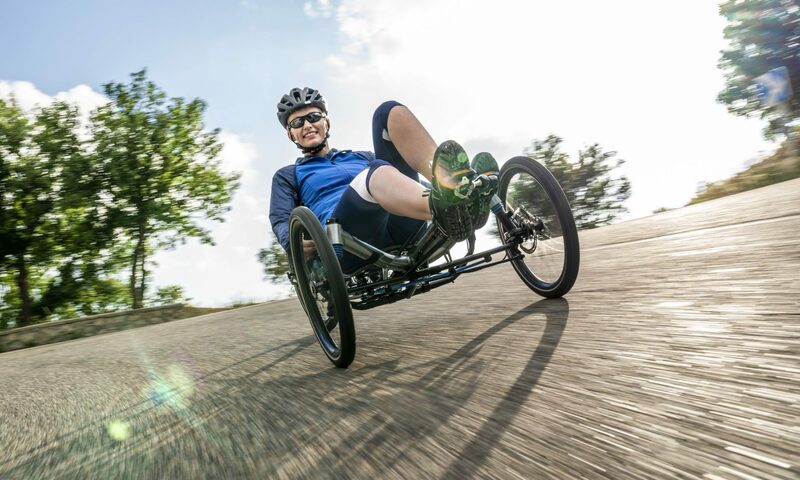 I’ve been fitting BTCs for over 15 years, and I can fit BTCs to most frames – I’ve converted conventional diamond frames, tandems, recumbents and tricycles. The requirements are that the frame be steel, have round top and down tubes, and that the tubing is not too thin (this is generally not a problem). BTCs come in a large range of sizes from 3/4” to 2” so almost anything’s possible. Fitting the couplings removes the paint for about 3-4” either side of the coupling, so the frame will need to be repainted – I can arrange to have it powdercoated by a good local company who know how to deal with the BTCs. They can manage most colours, just let me know the RAL colour. More complex jobs, like this Pino tandem (above, with two large couplings) or conventional tandem (left, with six couplings) are not a problem – get in touch for a quote.